This week I found Alabama Shakes on Spotify. I have to say that the lead singer, Brittany Howard has one hell of a soulful voice! They are an American rock band formed in Alabama of course (hence the name of the band). The group consists of singer and guitarist Brittany Howard, guitarist Heath Fogg, bassist Zac Cockrell, keyboard player Ben Tanner, and drummer Steve Johnson. The story their band started in a high school psychology class. Brittany, who had started playing guitar a few years earlier, approached Zac and asked if he wanted to try making music together. “I just knew that he played bass and that he wore shirts with cool bands on them that nobody had heard of,” said Howard. They wrote songs on Brittany's floor. That is how they started out getting their sound. 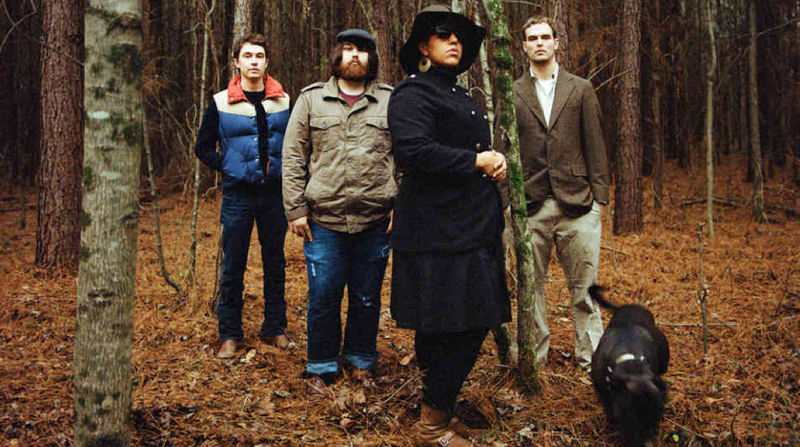 Check out Alabama Shakes' Website. I have never heard of them, but I am off to listen to them now. I did hear the first one in Silver Linings Playbook. I really do like their sound! She doesn't look like your typical rock star. cool,a new band to me. These are very interesting! I've not heard them before. What a refreshing change to have an everyday, typical looking woman fronting a band with a voice like THAT! Mama - the lady rocks!! ps....I've STILL not seen the film but plan to do so soon - or tonight even! !